You could be one or all five. You could have one property that qualifies you under one definition and another property that qualifies you as another. Let’s look at these in more detail. Real Estate tax can be tricky. 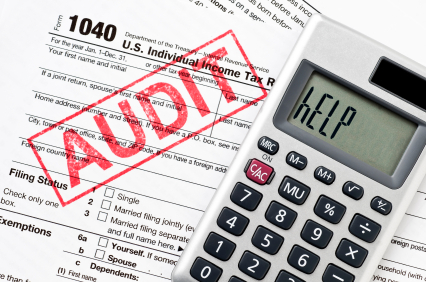 One of the first challenges is determining what kind of definition the IRS gives you. You may have a business that is involved in real estate. For example, a real estate broker has a real estate business. You could also rent real estate in a way that qualifies as a business, instead of as a passive rental. The IRS defines this type of real estate business as one that rents out for short stays, generally less than a week, and provides services as part of the rent. The best way to think of this is like a hotel. When you rent a room at a hotel, chances are it’s just a few days that you stay there, and the hotel provides maid service. That’s a business, not a passive real estate investment when it comes to taxes. This designation is property by property. You could have a real estate business with one property and have real estate investments with another. If you buy property and do construction or remodeling on the property before you put it in use, you are a real estate developer. You’re also a developer if you take a property out of service and remodel or change it’s use. The designation of real estate developer is property by property. A real estate dealer is in the business of buying and selling properties. If you wholesale, fix and flip, or just plain flip, you’re a dealer. This designation is property by property. You could be a dealer on one property, a developer on another, and an investor on the third. The definition of real estate professional means that you can take full advantage of real estate losses against your other income. This is a designation that follows you personally and has nothing to do with the property itself. In this case, a real estate investor is one who invests in property. If the property is not put in service, it is a capital asset. If it is put in service, the income stream is passive and (depending on the level of involvement) the income is either passive or participating passive. The definitions are important because your tax treatment is based on them. The terms professional, investor, and the like are commonly used, but the IRS has their own definitions. First know exactly what kind of definitions the IRS uses to describe what you do, next find out what the tax treatment would be and then, with that information you can devise a tax strategy to pay the least amount of tax legally possible. This is AWESOME; I never thought of it that way.